Cardinal's Liquor - Where the Party Begins! We are your full service package store in Vincennes with the best customer services around. Stop by and browse our huge inventory. You won't find a larger selection of micro brews and wines around. If you're not sure what to try, we sell micro brew singles so you can find your favorite. Or if you prefer wine, we host a monthly wine tasting where you can sample select wines from our inventory. And of course, we carry all domestic and import beers, ports, mixers, and hard liquors. Let us help you get the party started! 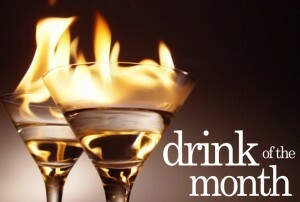 We will be showcasing a "Drink of the Month" review based on your submission and requests. You will be able to select from a list of popular drinks in our polls and then we will announce the winning drink of the month! Have a request or suggestion? Send us your ideas in the comment form at the bottom of the page and maybe your favorite drink will be on the list. Need directions to our store? Use the interactive Google map below.